Yesterday Castle Lite unlocked the extraordinary by making the impossible for their fans. The events unfolded at the brands first ever Pop Up store, which took place simultaneously in Johannesburg and Durban. 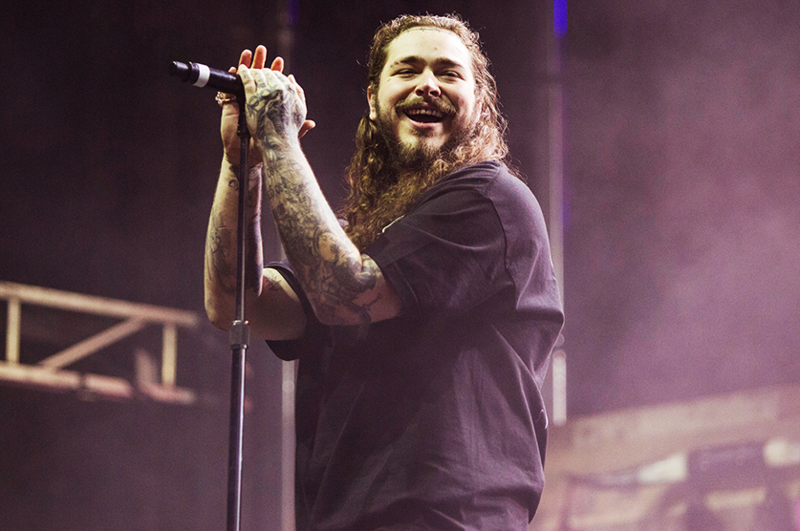 This one of a kind launch event reached an exhilarating climax when the brand unlocked Post Malone as the headline act who will be leading the pack at the TicketPro Dome Tuesday, 18 June. Iconic Hip Hop guru, vanguard radio personality and founder of the Sway Cyphers, Sway Calloway will be an integral part of the day one Castle Lite Unlocks experience as he hosts the first ever Sway Cyphers in South Africa, Additionally, day one will features culture influencer Riky Rick, Nadia Nakai, Cassper Nyovest, Nasty C, Rouge, and extra cold DJs Ayanda MVP & DJ pH to name a few across multiple stages. Speaking at the 2019 Unlocks launch as Castle Lite Brand Director, Silke Bucker “As a brand, Castle Lite consistently sets out to connect with our consumers and ensure that we understand how their world and passions continue to evolve. Our consumers are at the centre of our innovation and we are honoured to be able to solidly contribute to the Hip Hop culture. Through strategic efforts, we have recognised the value and growth that the brand has gone through with and within this dynamic culture” expressed an enthused Bucker. “Our collaborations within the Hip Hop industry have expanded beyond music and our partnerships with designer GalxBoy on Fashion, sneaker curator DM Customs on our limited edition sneakers and Sway Calloway on our day 1 are additions to the Castle Lite Unlocks experience that showcase how much we have evolved. We are anticipating a ground-breaking experience this year and looking forward to unlocking another first for Africa and the brand” concluded Bucker. While Day 1 still has many more surprises that will be unlocked at a later stage, be sure to catch this phenomenal line up consisting of Rouge, Riky Rick, Nasty C and Post Malone at this year’s Castle Lite Unlocks concert. This two-day distinctive experience is not to be missed. Tickets for the Castle Lite Unlocks two-day experience will be available from WebTickest at 12 noon today for both day one and two of the Castle Lite Unlocks experience. Ticket prices for day one are R250 day two concert ticket prices start at R790. Limited two-day tickets are also available.